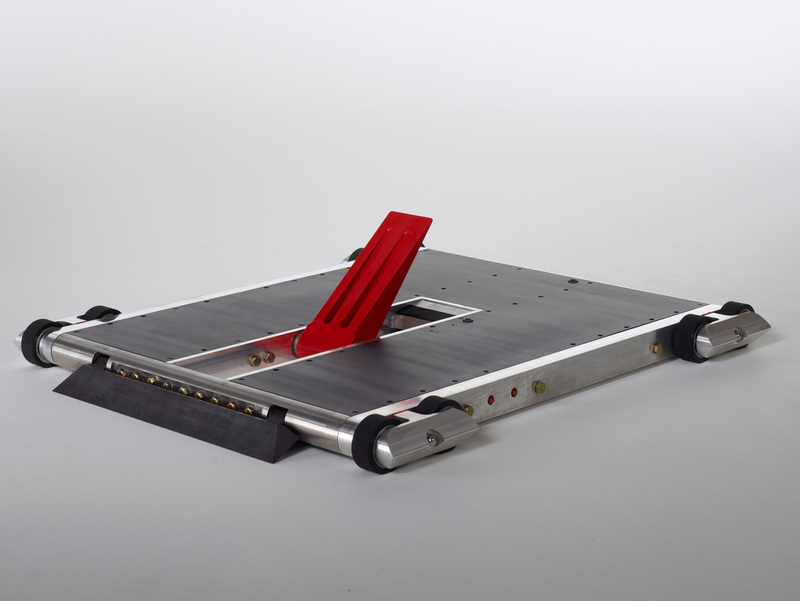 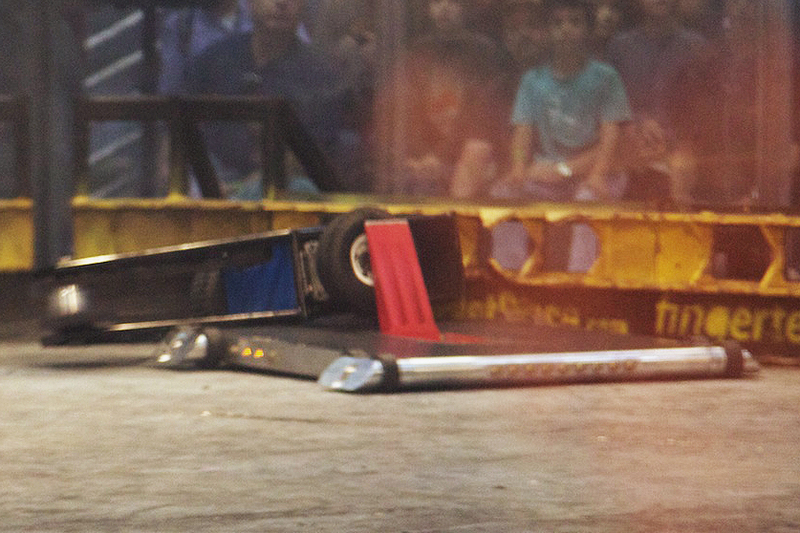 BLACK WIDOW is a 220 pound heavyweight remote controlled robot that competes in "Battlebots-like" fighting robot tournaments. 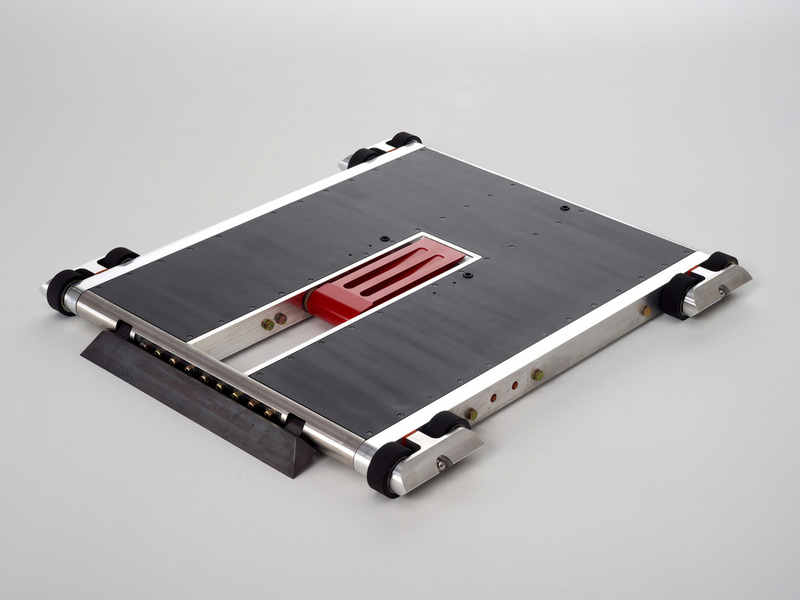 The chassis is only 2.5 inches tall. 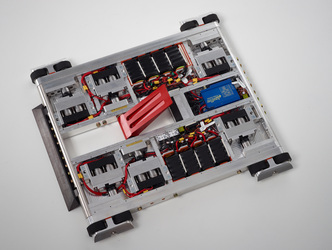 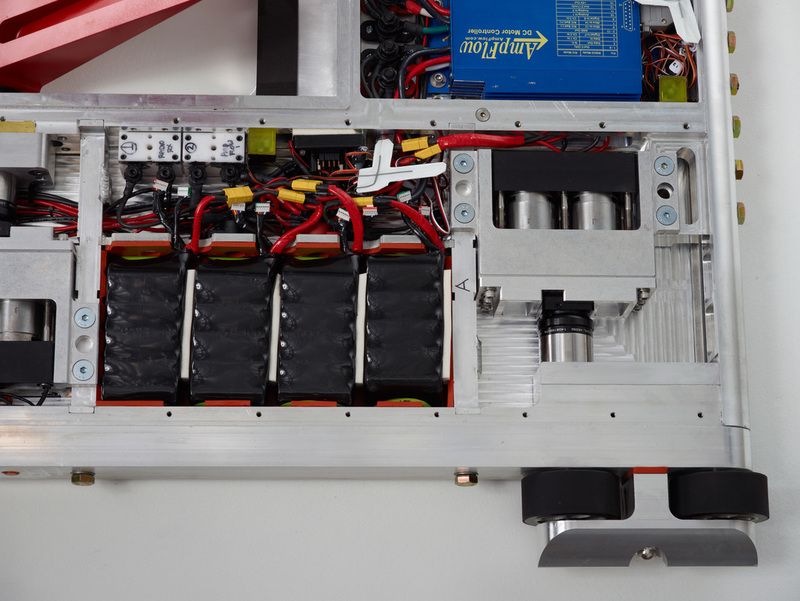 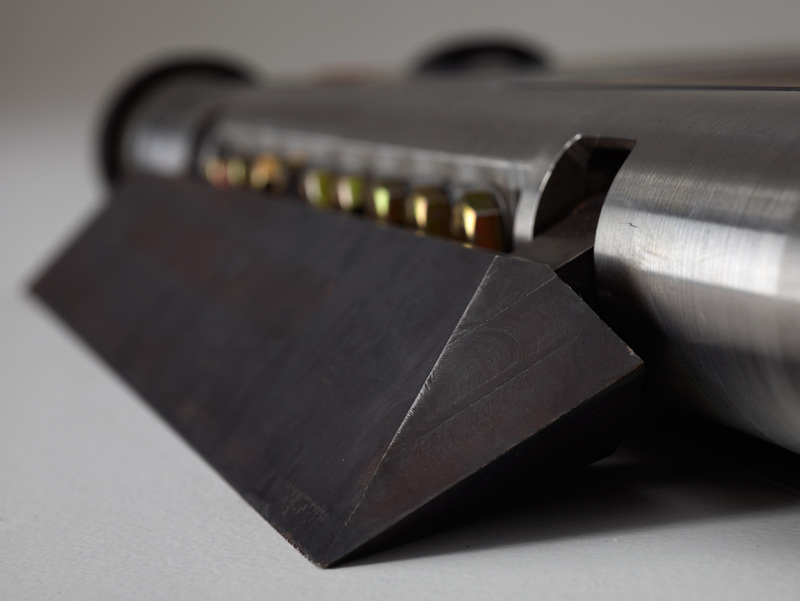 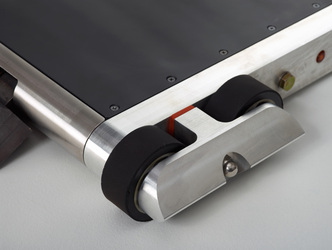 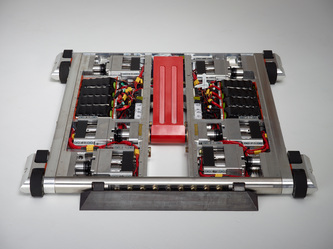 The bot contains (12) 36V 1 HP motors and (80) A123 LiIo battery cells. 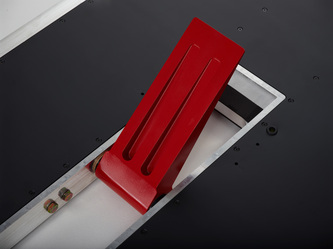 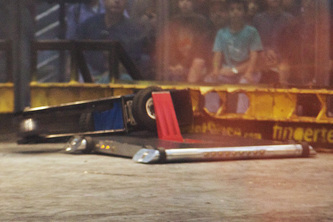 The front wedge is used to get under the other robots, and the red arm rotates to push the opponent against the arena wall.